Taylor Raney says he doesn’t blame people for “not knowing much” about the Professional Standards Commission, even though the fate of every Idaho educator lies in the hands of this state advisory group. Raney didn’t know much about it himself. Then he became its director in 2013 and a regular member in 2015. Now Raney considers the PSC crucial to “protecting the integrity of the (education) profession” in Idaho. “It is definitely a very important body of people,” said Raney, who’s also the Director of Teacher Education at the University of Idaho. The PSC is an 18-member volunteer board of mostly teachers, school administrators and higher education officials. 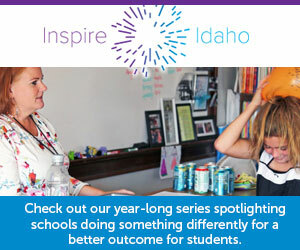 It has the authority to approve, suspend and revoke teaching and administrative licenses in Idaho. One of the group’s recent meetings yielded a range of punitive actions. In April, the PSC handed down four formal reprimands, two license suspensions and four revocations to Idaho educators. The PSC reprimanded former Highland High School PE teacher Michael Green for slapping a female student mid-thigh, leaving a visible handprint, for wearing ripped jeans. Green resigned from the district in December. The Idaho State Journal reported in June that he was hired as athletic director in the Wendell School District. The commission suspended former Mountain View High School principal Aaron Maybon’s license after he purchased NFL tickets and took staffers to a zoo using a West Ada district credit card. The PSC found that Oregon teacher Karen Scott, when applying for an Idaho license, lied on her application about being reprimanded for inappropriate conduct with a student. Other actions in April stemmed from educators flicking students on the head, throwing markers and hitting kids with books. Raney said such punitive measures are “few and far between” — about 30 of some 20,000 teachers a year, he estimated. Though license suspensions and revocations are rare, Raney said they help ensure greater safety for Idaho students. They also constitute just one of the commission’s several functions. and considers approval of alternate authorizations to teach, administrate or provide other services in Idaho schools. The acting PSC chair appoints members to “standing committees” tasked with overseeing these and other functions. These committees investigate applicable issues at the request of the State Board of Education. The PSC can then use its findings to act as an “advisory commission” to the State Board. One much-discussed area of concern for the PSC’s Authorization Committee, Raney said, is the overall increase of alternative teaching authorizations issued in Idaho. The number of Idaho teachers working on an alternative route to the classroom has almost doubled in recent years, jumping from 523 in 2014 to 932 in 2017. Though this latest number constitutes just 5 percent of Idaho teachers, Raney said the increase is a cause of concern for the commission. “It’s a problem” that’s indicative of the state’s teacher shortage, Raney said, pointing to a running tally of alternative authorizations issued on the State Department of Education’s website. Probing educational issues as a commission member has been “very educational” for Boise State University Interim Provost Tony Roark, a member of the commission’s Executive Committee, which investigates potential ethical infractions in closed or executive sessions. “We determine whether there’s probable cause or enough information in evidence to make a finding, all the way up to permanent revocation,” Roark said. It’s “tedious” work at times, Raney said, adding that the Authorization Committee individually approves the state’s swelling stockpile of alternative teacher authorizations each year. It’s also work that the public should know more about, Raney believes. The PSC was established as an advisory commission to the State Board of Education by the Idaho State Legislature in 1972. The State Board either appoints or reappoints members of the commission for terms of three years. Idaho law stipulates that at least one PSC member “shall be a member of the staff of the State Department of Education.” One must also be a member of the staff of the Idaho Division of Career-Technical Education. At least seven members must be certified Idaho teachers. Click here to view the PSC’s full procedure manual.